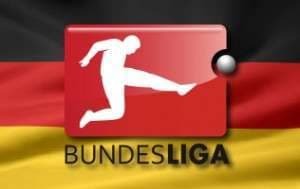 The final round of German Bundesliga matches throws up a number of decent bets, particularly if one does not playing at short odds because many of them are of that variety. Schalke entertains Nurnberg is one of the German Bundesliga games of the round because there is a lot on the line for both teams. Schalke is third and it requires at least one point to guarantee that it retains that spot and qualifies for the UEFA Champions League group stage directly. Fourth spot has to win a two-legged tie to get there. Nurnberg is 17th and it needs three points and for Hamburg not to win its final match to stave off immediate relegation. The best for which Nurnberg can hope is 16th spot and a relegation play-off versus the second division’s number three side. There is no reason to think that Schalke will play for a draw in light of three things: its home form, Nurnberg’s overall form and the predicament in which its opponent finds itself. Schalke’s German Bundesliga home record of 11 wins, two draws and three losses is the top flight’s second best behind that of Bayern Munchen. Nurnberg has lost each of its last six German Bundesliga games or tasted defeat in 10 of its last 11 league matches if one wants to go back a little bit more. And, unless Hamburg loses by a cricket score at Mainz, anything other than victory over Schalke will be useless to Nurnberg so The Club has to play for a win. Schalke is available at odds of 1.33 with Ladbrokes to end its German Bundesliga campaign with a home victory over a Nurnberg team that does not deserve to stay in the top flight based on its performances from March onwards. Bayern Munchen is fairly quoted at odds of 1.22 with Paddy Power and William Hill to beat Stuttgart at the Allianz Arena. The season is not ending in the manner that Bayern boss Pep Guardiola had hoped that it would but his side has strung together three German Bundesliga wins by two-plus goal margins and it encounters a shocking Stuttgart team that is only safe from the drop because Hamburg, Nurnberg and Braunschweig has been even worse. Stuttgart has earned just 32 points from its 33 German Bundesliga games and its last nine away matches in the league have resulted in three draws and six losses. Saturday’s game is a home banker. Finally, the contrast between the ways in which Hertha and Dortmund are finishing their respective German Bundesliga seasons is stark and that is why one is interested in backing the latter at odds of 1.55 with BetVictor. One could have forgiven Dortmund for allowing its German Bundesliga campaign to tail off once it could not overtake Bayern Munchen. But Dortmund is the German Bundesliga’s form side, winning six and drawing two of its last eight matches, including thrashing Bayern 3-0 in Munich. Hertha, on the other hand, is finishing its German Bundesliga program in appalling fashion. Hertha defeated bottom-of-the-ladder Braunschweig 2-0 in Berlin two weeks ago but that is the only German Bundesliga game that it has won since late February. Hertha has accrued seven points from its last 11 German Bundesliga matches to side into the bottom half. 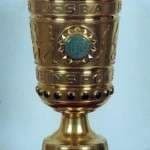 Dortmund has the German DFB Pokal final next weekend in which it will meet Bayern Munchen. 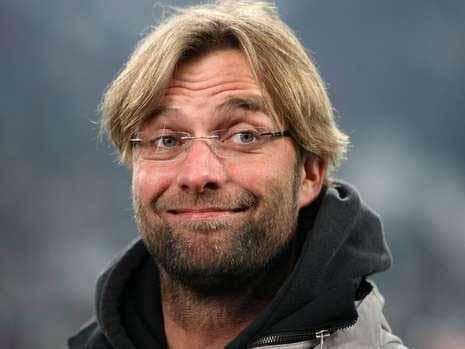 Dortmund boss Jurgen Klopp is a demanding bloke and one can see him insisting that BVB warms up for the knockout competition decider with a top-drawer German Bundesliga performance against a Hertha team that is lucky that it is not in relegation trouble.